The 30% design plans are complete. Design will continue through 2019. The project will be presented to the public as the design progresses. To sign up for notifications, enter your email in the update box on the right. This project will rebuild 18th Street South between Fern and Eads Streets in order to continue the existing South Hayes Street protected bike lane further east. 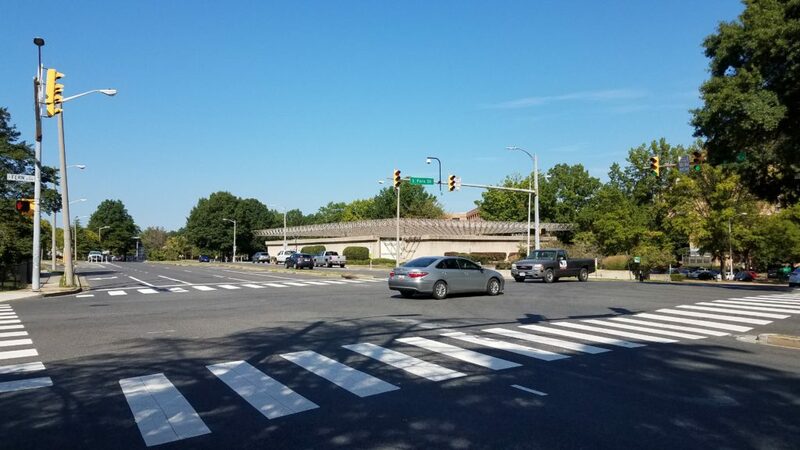 Additionally, the intersection of 18th Street South and South Fern Street will be rebuilt to decrease crossing distances and decrease the existing impervious area. This will improve pedestrian, bicycle and vehicle safety at the intersection. 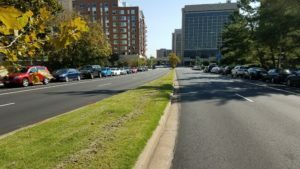 The project will also add stormwater retention and upgrade the streetscape, helping improve the connection between the core of Pentagon City and Crystal City. The total project cost is estimated at $5.3 million in the FY2017-2026 Capital Improvement Plan, with funding from Arlington’s Transportation Capital Fund and an Arlington fund dedicated to infrastructure investment in Crystal City.